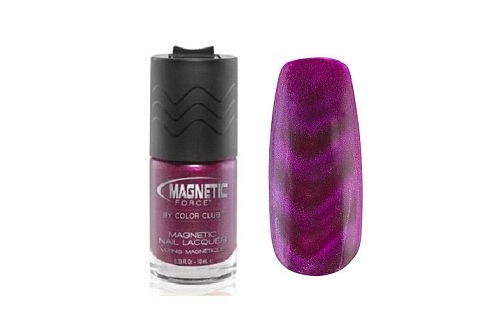 Make waves with Color Club's Magnetic Force. Just apply Magnetic Force lacquer to nail. While polish is still wet, hover the magnetic brush cap over nail for 15 seconds. Be careful not to touch the polish! When you remove the cap, a unique design will appear!